This is bad news for free-to-air lovers who have installed one or two dish antenna on roof because ABS satellite removing all free-to-air Indian TV channels from its ku band platform. Recently Government of India has issued a notice to all TV channels to withdrawal TV channels from ABS satellite, because some free-to-air Indian TV channels uplinking and downlinking via ABS Satellite without government permission. 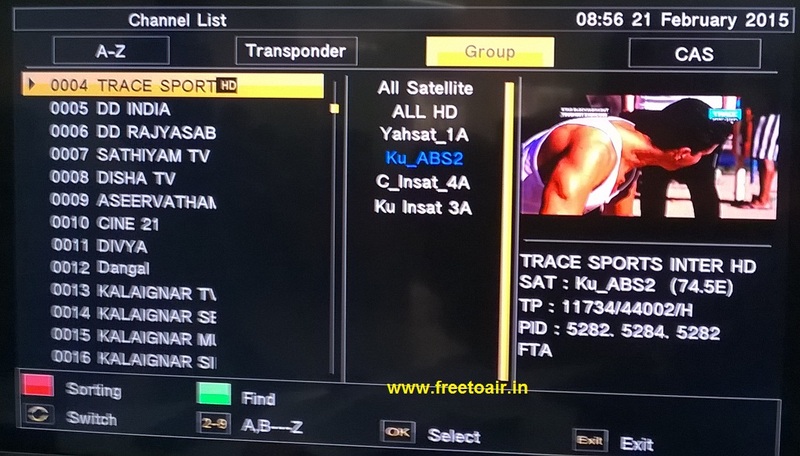 ABS satellite was providing these free-to-air channels by using ku-band South Asia beam. As per Indian Telegraph Act the Permission Holder shall not carry out the uplinking in any other band except C-Band or Ku-Band as permitted. In case of uplinking in Ku Band, the Permission Holder shall not use the teleport to run/ operate DTH service without proper and prior license. Government of India has permitted the reception and distributions of television signals in Ku band vide its notification no. GSR 18(E) dated January 09, 2001 issued by the Department of Telecommunications. At present, apart from Doordarshan’s DTH free to air service, there are 6 DTH pay services in operation. Recently Mr. Rajyavadhan singh rathore informed in the Lok Sabha that keeping in view the national security angle, the MIB requested DoS to block the signals of ABS satellite. But another truth is that currently there are lots of satellites providing their satellite coverage in India including C-Band and Ku-Band beam with many foreign TV channels from different-different countries. ABS Freedish is not permitted DTH service in India, so it is not doing any DTH business. ABS satellite was providing only free-to-air channels using ku-band beam. Also ABS satellite was not promoting any TV channels, and not selling its DTH system or package. ABS satellite was providing mostly regional Indian TV channels including some international TV channels using ku-band beam. So ABS satellite become popular in South India region due to its regional TV channels which is not available on DD Freedish DTH service. As you know DD Freedish is India's one and only free DTH service by public broadcaster "Doordarshan". But DD Free dish is not providing private regional language channels like Tamil, Marathi, Bengali, Gujarati etc. Due to this reason, almost 90% DD Freedish users moved to ABS Freedish, and DD Free dish limited only Hindi speaking states; as Uttar pradesh, Bihar, Madhya Pradesh, Rajasthan etc. DD Freedish providing its free services to Indian Public who cannot bear monthly rental of Pay DTH service. So Indian Government should reserve minimum 5-10 vacant TV slots for every state or languages so that all language or regional TV channels can come on DD Freedish platform. Yes, it is very bad news for South India viewers who cannot afford pay TV subscription and were watching free-to-air regional TV channels through ABS satellite.